A German couple is holidaying at Sun Aqua Vilu Reef for the 30th time, returning to the Maldives for a grand welcome. 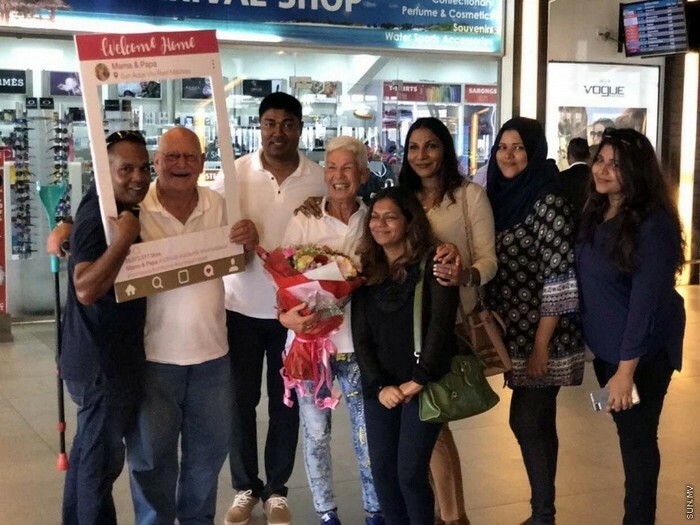 Harns Guard Richter and his wife Bärbel Richter have visited the Maldives a total of 37 times, and on one of their visits the couple went to Sun Aqua Vilu Reef for the first time in 2002. 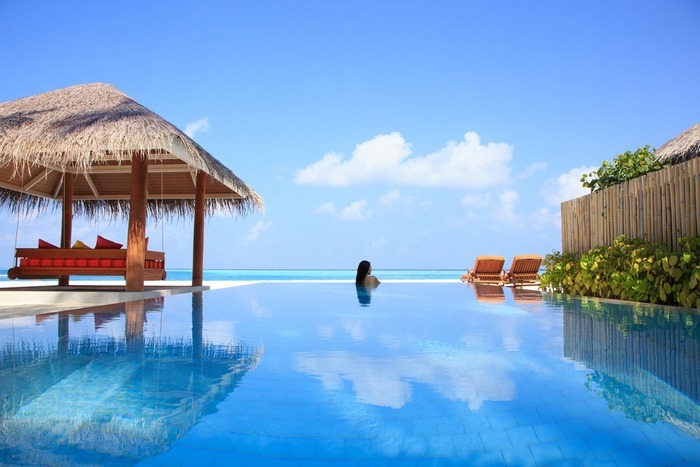 They immediately fell in love with the resort, opting to stay there on every single visit to the Maldives since then. 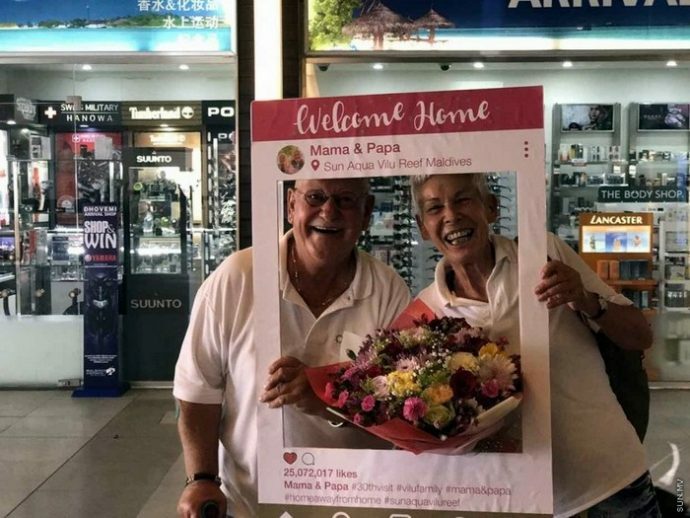 The team at Sun Aqua Vilu Reef now affectionally call Harns and Bärbel as “Mama and Papa”. Later on, the team at Sun Aqua Vilu Reef welcomed their Mama and Papa with traditional dances as they arrived in the island for the 30th time. Harns and Bärbel will stay in Sun Aqua Vilu Reef for 20 days this time, but that is not enough for them! They are already planning to return to the Maldives — more specifically to their second home of Sun Aqua Vilu Reef — in December for the festive season. Sun Aqua Vilu Reef is a palm fringed paradise-like island located in South Nilandhe atoll, a mere 35-minute seaplane flight away from the main Velana International Airport.